We had fallen for surfing that we hadn't stopped exploring places in the country to surf in. 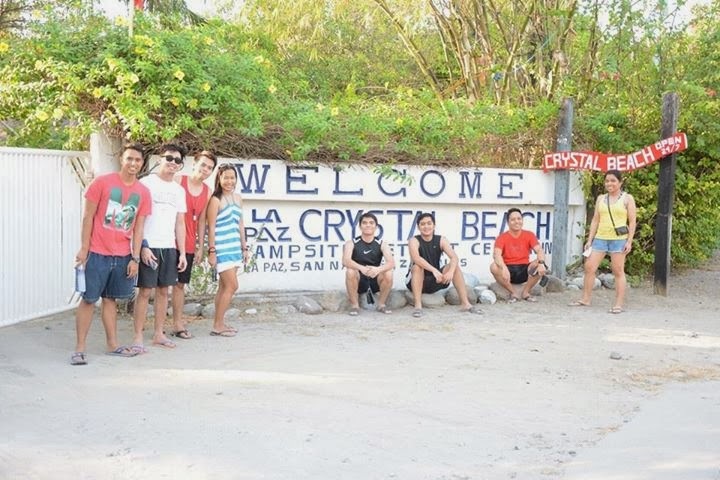 After visiting La Union, Baler and Liw-Liwa, we checked out Crystal Beach Resort in San Narciso, Zambales. I was expecting this place to be better than the small hostel in Liw-Liwa because of the price but I was in for a surprise. We stayed in a half of our tree house for almost P500/person. It was a fun experience but it wasn't comfortable. Most of us had to lean down and crawl in order to move in our accommodation and the other r group were given a cottage to sleep in so we decided to all stay in the small tree house. The place also offered lots of activities like beach volleyball, trampoline, log climbing and a lot more. Some of the activities required additional expense. In my opinion, those special activities are not that interesting but it was nice to have. The bathing area wasn't a good one since it was an outdoor shower. It was still cold in that night so bathing the day when we weren't swimming or getting wet in the beach was a challenge (and may mga hindi naligo at naligo sa CR). On the other hand, the beach was clean and peaceful, too. A few minutes from the resort, a conservation venue for the pawikan. In the afternoon of our stay, we had the opportunity to help baby pawikans on their way to the ocean. We all lined up by the seashore with a baby pawikan in hand and we let them in the ocean. It was a great experience. We stayed in the resort for the first long weekend of the year so all the rooms were taken and the surfing schedules in their resident surfing school was almost full. Luckily, we scored a schedule before noon. They were strict with the inland instruction to ensure everyone's safety. 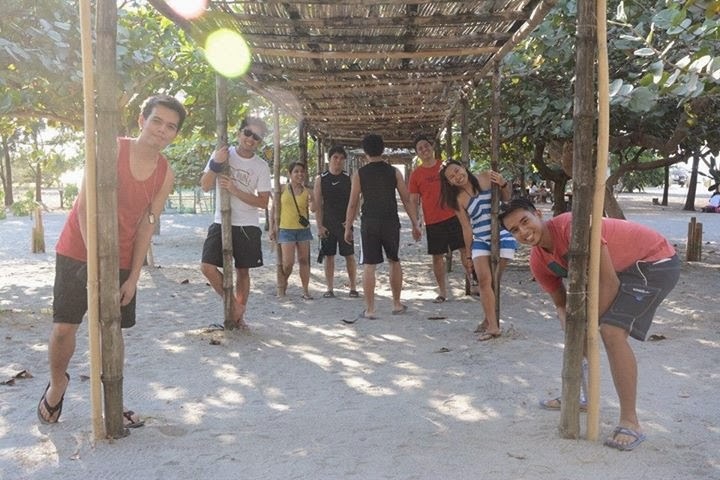 Like all other lessons, the instructor oriented us on the parts of the surf boars, how to stand and how to fall. 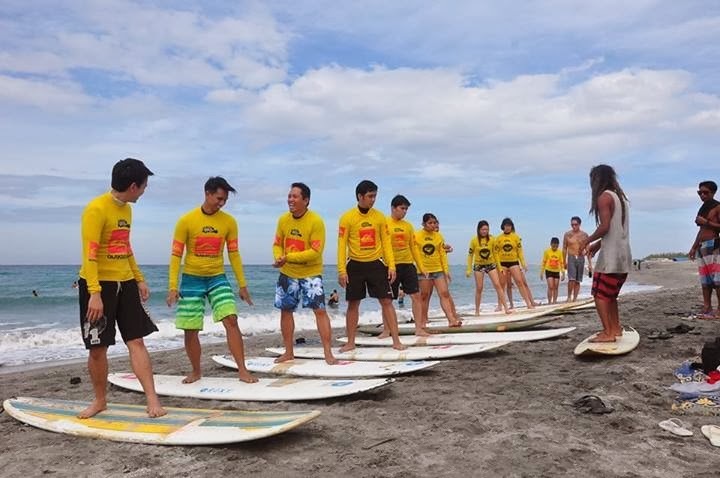 Since they over booked so the 4 (Ed, Drew, Rodel and I) of us had to surf without leashes which required the head instructors to guide us. The waves on our side of the beach weren't plenty and we had to endure some failed attempts at riding the waves since the waves wouldn't be there. 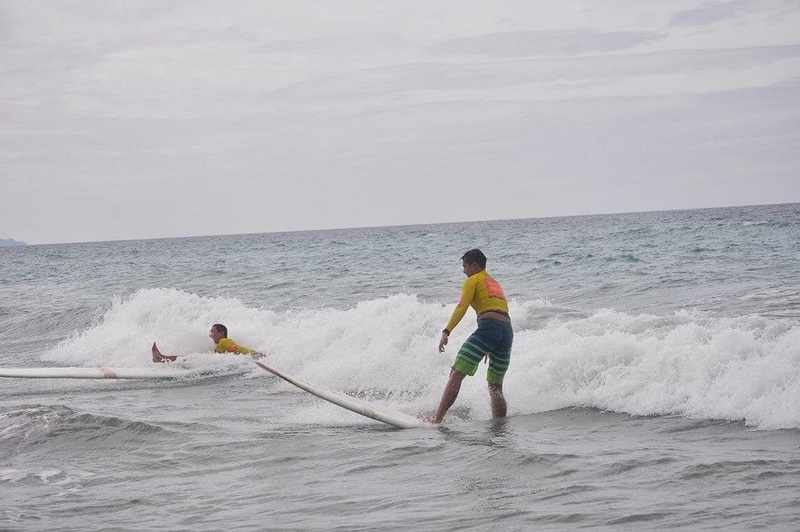 But master student Ed and Drew were trying to get some new moves (kaya sila na matuturo next time, LOL) while we struggled to surf with the short surfing waves we found. It was still a fun experience and hopefully the next surfing trip would have better waves for the beginner surfers. Bro magkano budget nyo for the weekend trip (per person)? 250/300 lang din ba ang per hour nila salessons/rental? Been wanting to visit a new surf spot for a while now but I always keep going back to baler (parang naging comfort surf spot ko na sya haha). So I promised myself I'd go to either la union or zambales the next time I surf hehe. 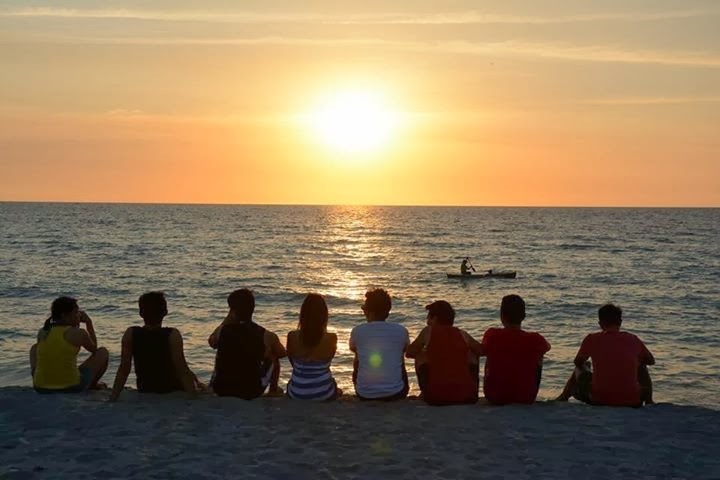 2k to 3k is more than enough for a weekend trip in Zambales..
Oks, thanks. Sakto, my highschool friends wanna go out of town sa April. we'll check the place out.